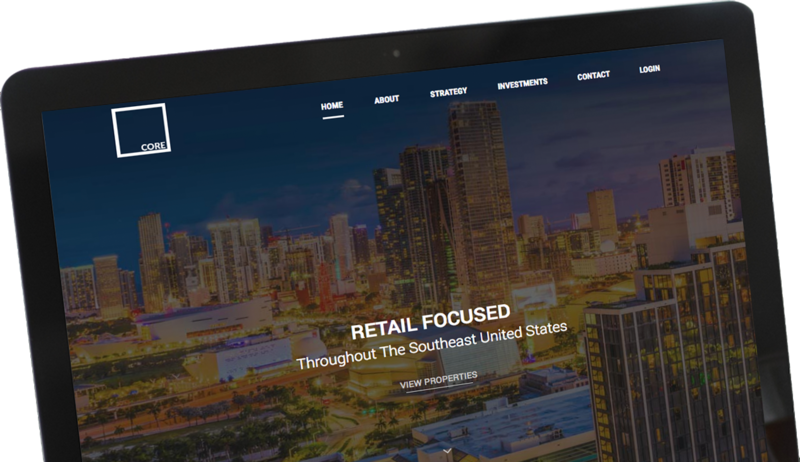 CORE Investment Properties Fund is a private investor of retail and office properties throughout Florida and the southeastern United States. CORE’s principals actively manage 1 million square feet of property in the region on top of investments in technology, management, and other secondary real estate ventures. The nimble investment fund, which combines experience with a forward-thinking mindset, turned to TECKpert for digital solutions to power their growth and expand their reach. 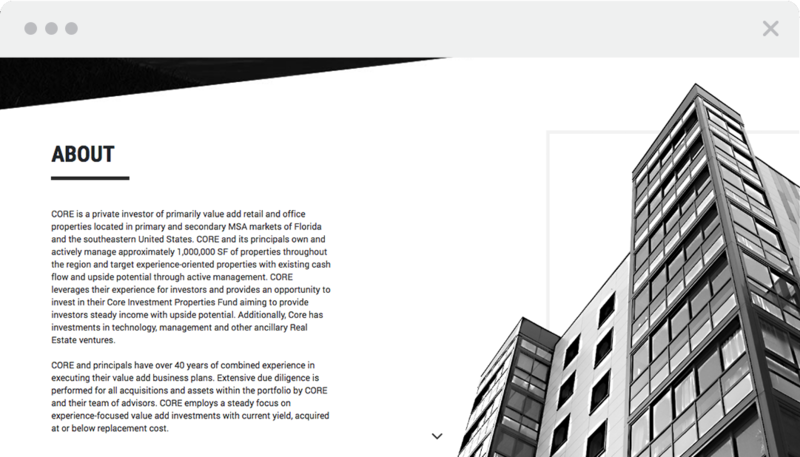 TECKpert’s diverse team of design and development experts worked with CORE to create a clean, streamlined online experience for potential investors and business partners. 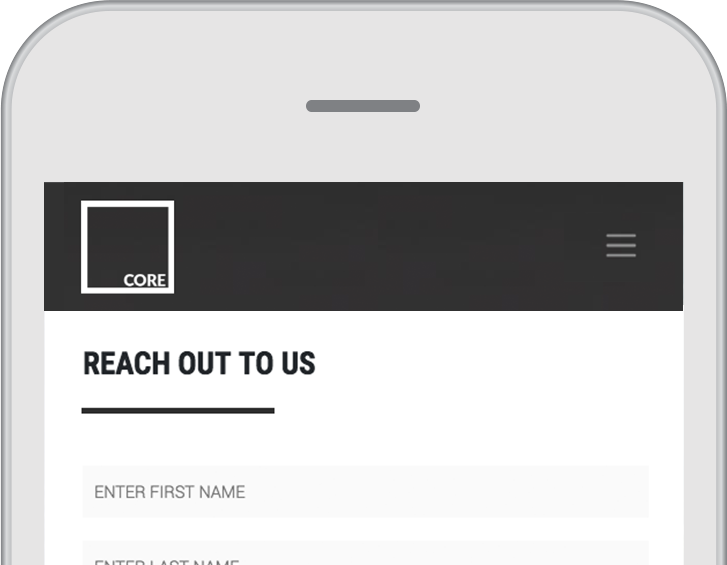 It was imperative that key information about CORE’s strategy and investment opportunities be immediately accessible for site users. TECKpert’s experience working with clients in the South Florida real estate space allowed us to drive the digital transformation process forward with efficiency, adding value through a strong understanding of CORE’s long-term needs. The end result was an easily navigable site with bold visual elements and a package of long-term branding assets. CORE leverages technology from another TECKpert project, RealDash, to manage its properties. 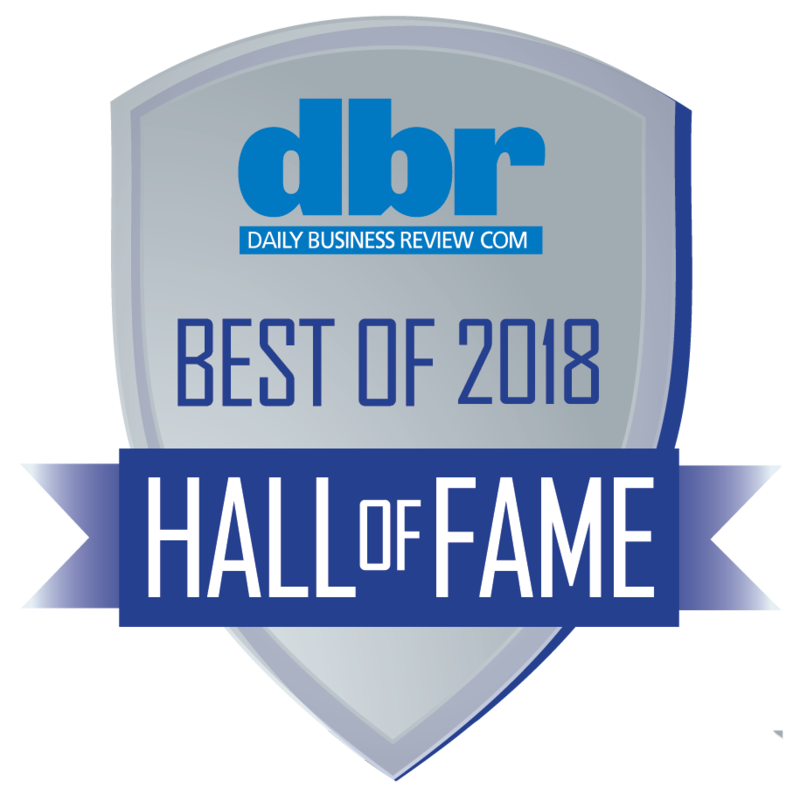 In both cases, TECKpert’s work in expanding CORE and RealDash’s digital capabilities has resulted in opportunities for value-added partnerships. Visit the CORE IPF site here: http://coreipf.com.